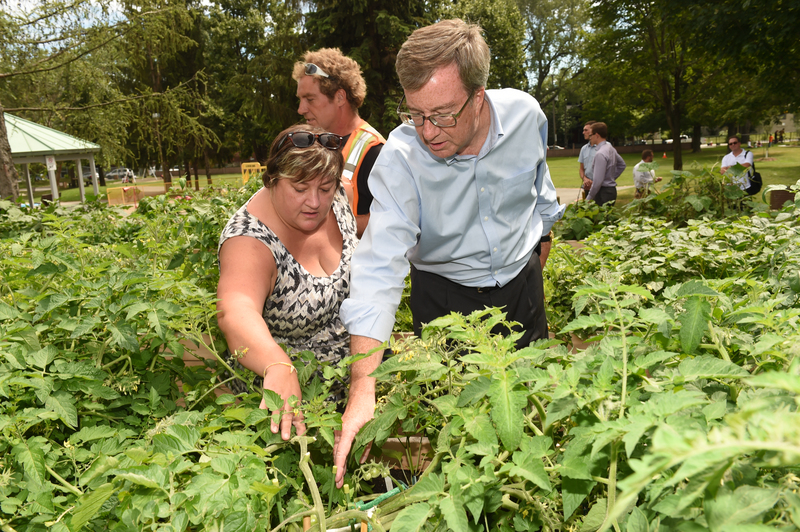 Ottawa — Today at the Agri 150 experience Good Food Celebration hosted at Just Food Farm, Mayor Jim Watson announced the completion of 30 new community gardens. This milestone was reached a year early and surpassed the original goal of building 20 new community gardens by 2018. In 2014, Mayor Watson committed to making the nation’s capital even greener and more sustainable by adding $15,000 a year in additional funding for the Community Garden Development Fund. The City of Ottawa has had a community garden action plan since 2004. The program, which is called the Community Gardening Network, is administered by Just Food Ottawa. Just Food receives $47,000 from the City of Ottawa annually for core operational costs for the Community Gardening Network program, and $95,000 for the Community Garden Development Fund, which directly funds new and expansion community garden projects in almost every Ward. The additional funding has helped Just Food support the development of 30 new community gardens, and helped expand 4 existing community gardens. This brings Ottawa’s Community Gardening Network to a total of 94 community gardens across the city.